From the advent of the personal computer and the world wide web, technology has advanced rapidly and is often standardized in order to form a global village. In studying the topic of typography and its close relation with technology, this project focuses on the QWERTY keyboard as the current standard for text-input and word processing technology. The development of this particular device, as well as most new technologies to date, primarily conforms to the needs of a “default user,” who carries some assumed characteristics that are inherently non-universal. 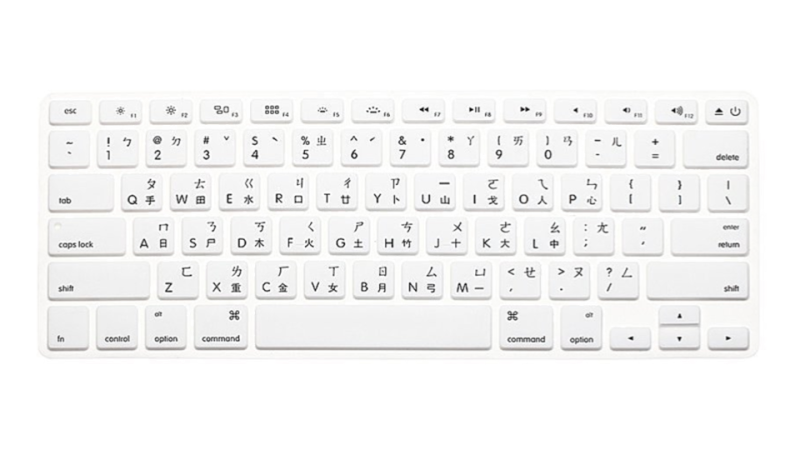 In the case of using the standard keyboard, the default user must speak a Latin-based language that uses letters of the Roman alphabet, and these languages are constructed phonetically—letters used spell out words. As a result, the technology poses an issue of inaccessibility and exclusion, which in turn hinders global communication and limits participation in the technological age. 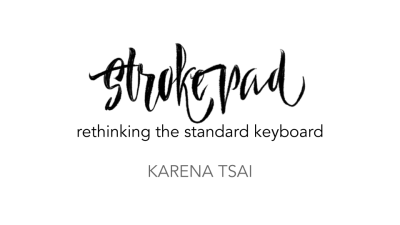 This project’s aim is to construct a new design for a keyboard that complements the pictorial origins of the traditional Mandarin Chinese language. The Romanization of the Chinese language is one that bridges the gap between phonographic writing and logographic scripts. There are four main functions new writing systems serve—auxiliary, to help learning and usage by indicating pronunciation, supplementary, to be used in tandem with the traditional script, alternative, to fully substitute a regular writing system, and superseding, to prove as superior to and eventually reduce the use of the traditional script (Chen). These four functions are apparent in the Zhuyin alphabet (注音符號), Hanyu Pinyin (漢語拼音), and other Romanizations of Chinese, and its influence provides more insight to its impact on language and overall significance to society. My project intends to prevent the third and fourth functions by reviving the use of traditional Chinese writing in the development of new technology. The significance of this new Chinese keyboard is not only a cultural one but one that deals with the confines of technology developed for a “default user,” which has greater implications for society. Elizabeth Ellcessor’s work, Restricted Access, addresses media accessibility. The problem of inaccessibility is a structural one, in which emerging media that is created remains inaccessible for people with disabilities and those with origins of other cultures. The ideology is embedded in the innovation and creation of technology, primarily led by individuals who are Western-centric. Therefore, the intended, or default, user is formed, and “alternative arrangements of bodies, motivations, and cultural contexts are absent from this dominant discourse” (Ellcessor 63), which will be challenged with this new Chinese keyboard. Without access to new technological advances, societies that are not assumed under the “default user” are then lacking in basic communication functions and thus may not have the means to participate in global communication, which can affect all aspects of society. The new keyboard design is built upon a few foundations of Chinese writing. First, Native Chinese-speakers teach their children how to write Chinese characters on a 3x3 grid to help visualize where strokes are placed. Characters are written following a certain stroke order, similar to the order of letters spelled out in a word. 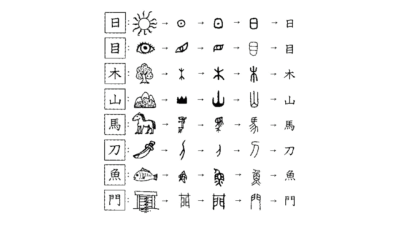 Every Chinese character can be written using some combination of eight distinct strokes. This is referred to as the Eight Principles of Yong (永字八法), in which each of the eight strokes is contained in a single word, 永, meaning “permanence” or “forever.” Typing with this keyboard will mimic the action of writing by hand, bringing out the emphasis on the pictorial aspect of the written language. 1. Select a designated part of the grid using the grid keys. 2. Select a stroke to go in the selected part of the grid. On the surface, this seems like a simple process. 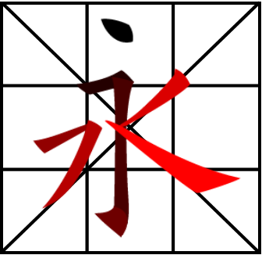 However, it requires basic knowledge of stroke order in writing Chinese characters. A part of the programming would include a word suggestion bank for auto-completion as strokes are entered. Ideally, an effective demonstration of the keyboard would be compatible with a computer and fully functional. Unfortunately, the standardization of technology means that software that is commonly used by the general public, such as Microsoft Word, does not have the capabilities that the Chinese keyboard requires. It may also be important to note that this project does not attempt to argue on the speed or efficiency of typing, given the assumption that anyone could hypothetically learn any keyboard layout and practice it in order to type faster. The development of typography and its technology have a very close relationship with written language, and technology has imposed primacy for English, even though the world’s population has 3 times more native Chinese speakers than native English speakers. Marshall McLuhan’s idea of a global village theorizes that technology facilitates communication and connects people across long distances. 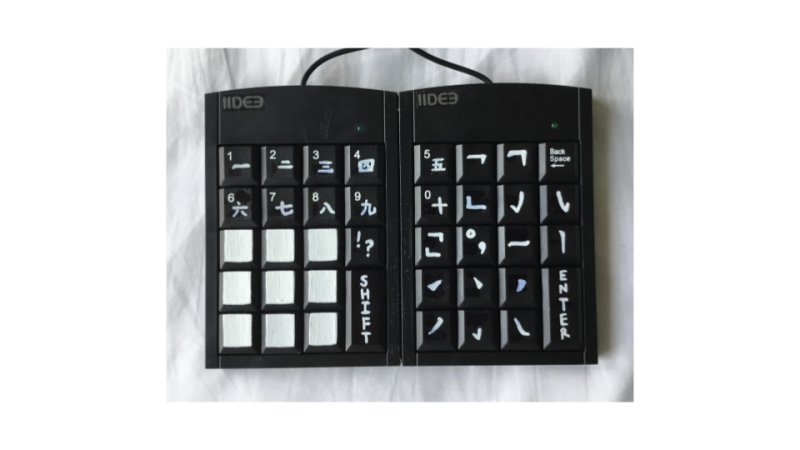 This keyboard also offers variability and can be adapted to fit any other image-based writing system. This means that people in areas of Asia, the Middle East, and northern Africa can allow their societies to advance further with the aid of typographic digitization and participate in global communication. Caldwell, Samuel H. “The sinotype—a machine for the composition of Chinese from a keyboard.” Journal of the Franklin Institute, vol. 267, no. 6, 1959, pp. 471-502. Chen, Ping. “Four Projected Functions of New Writing Systems for Chinese.” Anthropological Linguistics, vol. 36, no. 3, 1994, pp. 366-381. Ellcessor, Elizabeth. “You Already Know How to Use It: Technology, Disability, and Participation.” Restricted Access, NYU Press, 2016, pp. 61-87. Gabrial, Brian. “History of Writing Technologies.” Handbook of Research on Writing: History, Society, School, Individual, Text, edited by Charles Bazerman, Taylor & Francis, 2007, pp. 27-39. Gaines, Brian R. “Office Automation in the Languages of the World.” Graphics Interface, 1983, pp. 337-344. Ghosh, Pijush K. “An Approach to Type Design and Text Composition in Indian Scripts.” Stanford: Department of Computer Science, Stanford University, 1983. Holmes, Neville. “The Profession as a Culture Killer.” Computer, vol. 40, no. 9, 2007, pp. 110-112. Noyes, Jan. “The QWERTY keyboard: a review.” International Journal of Man-Machine Studies, vol. 18, no. 3, 1983, pp. 265-281.